small, fast, very destructive, and hosts of diseases. A better understanding of rats by property owners will spur the need to get rid of these vile vermin safely and efficiently. A great strategy to contain rat menaces involves engaging the services of a rat control professional. Rats are known to wreak havoc on critical domestic and commercial appliances, contributing to substantial losses. By chewing through your AC piping, TV cables, and electrical wires, these rodents not only cause serious equipment and electrical damages, but they also intensify the risk of short-circuiting resulting in fire, and electrocution. Parasites like fleas and ticks, and the feces and urine rats leave behind cause terrible stenches that compromise the heath of you and your family. Rats possess health-related risks, such as rat-bite fever, asthma, and bubonic plague, among others. Never leave crumbs out, and always make sure to clean up your spills in the kitchen; rats are attracted to mess and filth. They have a very strong sense of smell that prompts them to explore the source. Therefore, ensure you store food in tight plastic or metal containers, and dispose your garbage properly into a garbage bin with a lid and keep it closed. Mix a few drops of the essential oils in a gallon of water. Add lemon, peppermint, and lavender and use the solution to clean your house. The mixture not only leaves your house smelling good and fresh, but also keeps rats at bay. Traps are effective at catching rats and mice. However, this method is only effective if there are not many of these pests in your house. If the number of rats inside or outside your property is already uncontrollable, using the services of a rat control professional is crucial. 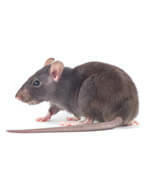 Identify the Various Species of Rats: Our professionals will be able to identify specifically which species of rats have infested your home and formulate a solution that matches the specific type of rats. Use a Safe and Eco-Friendly Techniques: We’ll employ safe methods to get rid of these creatures. Some of the products used are hazardous to humans and are used with a great deal of care. Identify the Root Cause of the Problem: We will be able to locate the source of the problem and take the essential steps to control it. This is very crucial to prevent recurrence of the rat menace. If the population of rats inside or outside your property is already out of hand, you can benefit from using the services of the rat control experts at Critter Control® Sarasota. We have been in business for 30-plus years, specializing in pest control using non-lethal means. To schedule your free consultation, call us today at (941)-313-3832.